At Swept Away, we pride ourselves on the high standard of service that we provide to each and every one of our customers. 1. Complete Survey & Quotation – We want you to be absolutely sure that you are making the right decision and you cannot do that without all the relevant information to hand. It is for this reason that we offer a survey and quotation at a very low price to all prospective customers, with no obligation to purchase. 2. Professional Installers – Every member of our stove installation team is HETAS registered, meaning they have been trained to current UKAS standards and know exactly what they are doing. 3. Automatic Approval – Because all of our installers are HETAS registered, there is no need to endure the hassle and expense of applying for approval from the council for your new installation. 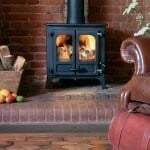 We will issue you with a certificate of compliance once your stove has been installed, which you can then show to your insurance company. 4. 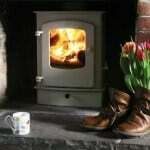 Chimney / Flue Service – We don’t just install the stove itself, we also install flue liners for installations where an existing chimney is going to be used and complete flue systems, including cowls if required, for clients who do not have a chimney they can use for their new wood-burning or multi-fuel stove. 5. 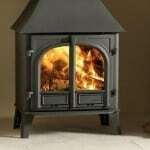 After Sales Service – After your stove has been safely installed and is ready to use, we will of course sweep up and leave your home in the same condition as we found it. 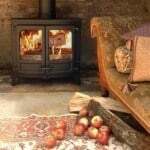 However this is not the end of our services: we can also visit your property on an annual basis (or more often if required) to clean your flues and maintain your stove. 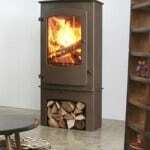 A reliable chimney sweeping service is essential for the continuing safe operation of your stove and we make sure that you do not have to worry about such matters with our first-class after sales service. We strive to keep our business costs as low as possible and pass on the savings that we make to our customers in the form of lower prices. We believe that it should be possible to offer a high quality service at a low cost and have demonstrated this to be the case to many satisfied customers across the South East. 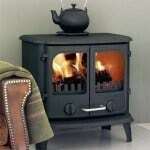 In the unlikely event that you should receive a genuine quotation for the supply and installation of a new wood-burning or multi-fuel stove that is lower than our prices, please let us know and we guarantee to beat it. Your satisfaction is our main priority at all times and we will do whatever we can to ensure that you are completely happy with the service we provide.